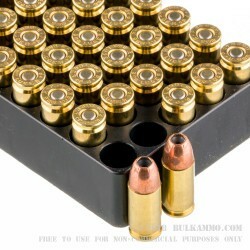 The demand for high performance handgun ammunition in recent years has lead to an explosion in both bullet development and evolution in recent years. 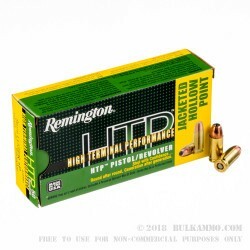 The Remington 115gr 9mm +P Jacketed Hollow Point is the one of the outcomes of that evolution, and is one of the most potent and lethal 9mm rounds on the market to date. 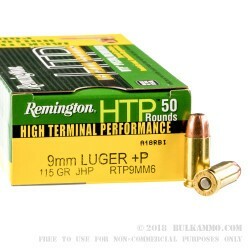 Utilizing +P chambor pressures, the Remington 115gr 9mm +P Jacketed Hollow Point flies further, hits harder, and travels flater than standard performance 9mm handgun ammunition. This is critical in both military and law enforcement applications where razor thin margins can ultimately end up being the difference between mission success, and complete mission failure. At an astounding muzzle velocity of 1,250 per second , the Remington 115gr 9mm +P Jacketed Hollow Point’s super sonic speeds allow for a depth of penetration and stopping power normally reserved for much larger high powered rounds. 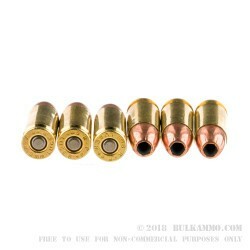 Solid brass cartridges make for an exceptionally smooth feeding and extraction regardless of climate or rate of fire, and serve to round out of the most well balanced, and most powerful 9mm handguns rounds anywhere on the market to date. Law enforcement and military personal in search of the next step in 9mm bullet technology will be well pleased with the Remington 115gr 9mm +P Jacketed Hollow Point.